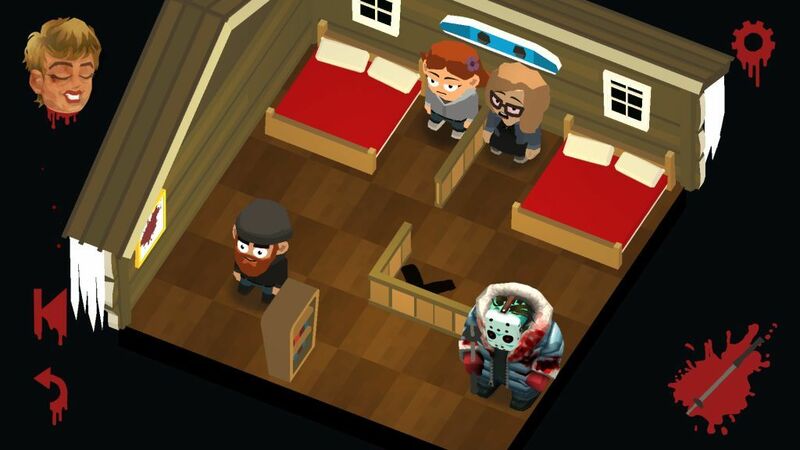 Jason Voorhees is back! And this time he goes on a murderous rampage in this unique puzzler. Inspired by games like Hitman Go, Friday the 13th Killer Puzzle lets you control Jason as you navigate fixed spaces on a puzzle board hacking and chopping frightened campers, avoiding police officers and eliminating victims before the Swat team arrives. To make things look as exciting as shown in the movies, the game includes deadly traps that are scattered all around a board making life difficult not only for the victims, but also for the serial killer. And then there’s Jason’s mom, who tries to help in all possible ways by giving him some motherly advice. You can get hints from her or let her reveal the entire solution by tapping her severed head. Puzzles will be more challenging as you progress through levels. While the game developers are generous enough to give unlimited rewinds and free hints (you don’t have to pay money to get hints or a solution, just watch a 30-sec video to get them), you should try your best to solve a puzzle all by yourself. One way to do this is to take a screenshot of the puzzle board when a level begins and then chalk out a plan to find the best possible paths to victims. Once you take a screenshot of a puzzle board, go to your picture gallery and then use your device’s built-in editor to draw paths to the victims. When you get a solution, go back to the same level and complete it. You may ask a hint from Jason’s mom by watching a video if the level is too tough and then jog your gray cells to solve it. When drawing paths on a puzzle screenshot or mentally finding a way to eliminate all people, make sure you pay attention to the “X” mark on the board. This is where the last guy or girl appears and the level won’t be completed until you finish them. Many times you may kill all victims on the board but won’t find a way to get that elusive last guy. You should draw the correct paths to every victim so that Jason gets easy access to the “X” mark to kill his final victim. Take your time if you really want to solve it on your own instead of relying on Friday the 13th Killer Puzzle solutions available on the web. In certain levels where the swat team arrives, you have limited number of moves. Such levels are pretty tough, and you will realize that you won’t be able to kill all of them in the middle of a puzzle. This is where the rewind button comes handy. Tapping this button will allow you to take a step back and since there’s no limit to using this option, you can use as many rewinds as possible to avoid any wrong moves. Some levels will be harder than others. Worse, there will be traps and falling into one of them will force you to restart a level. Keep an eye on water bodies, fire, mines and other traps when moving around. Jason can drown and get roasted in fire. While you can push people to those traps, you may also fall into them if you make a wrong move. Observe the puzzle board and follow the first section of this guide to avoid traps or make use of them. Sometimes, pushing people to a trap won’t work and it may lead to failure as the puzzle is cleverly designed to make people believe that that traps are the solution to solve it. in such cases, you must have plan B in mind to get rid of them. You will get more bloodlust if you get a successful kill in the final cut-scene. Tap the screen when the marker is in the red zone to kill the last victim. 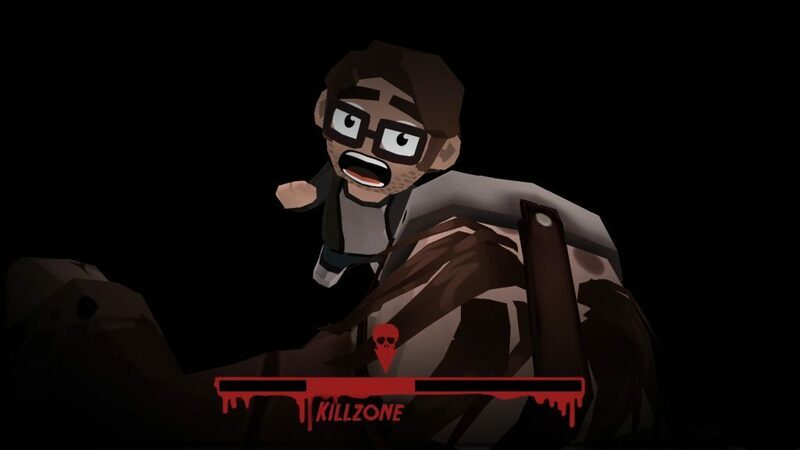 Hitting kill zones need some practice, and the best way to get some is to play the “Murder Marathon” game mode. What’s more, achieving kills in a row in this game mode also increases your bloodlust. The more kill combos you get, the more blood pours into the container. Make sure you play this mode every now and then if you want to unlock weapons faster. 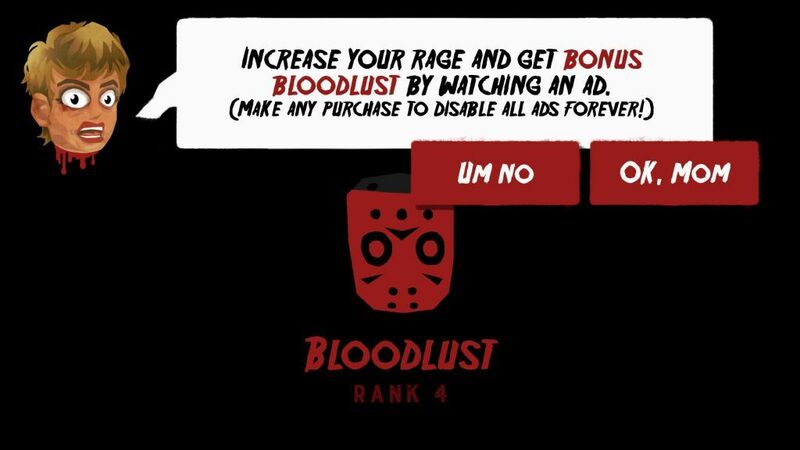 When the bloodlust container is almost full, Jason’s mom will provide an option to watch a video. You can opt out, but watching a 30-second video will let you unlock a new weapon. Solving the “Daily Death” puzzle will also increase bloodlust. You will receive a new puzzle every day. And if you complete all 13 puzzles in a row (called the 13-day streak) you will receive a rare weapon. Scare tactics will put the pieces of a puzzle in place in some levels. Scaring victims so that they fall into a trap can be fun. But sometimes, you just need to scare a guy so that he moves to the right square. This is essential in some levels as it will ultimately lead to the “X” mark on the game board, where the last guy drops in. You just need to force a victim to move to a square from where you can get access to the path that leads to the “X” mark or to another victim.